Race winner and Championship leader Mark Winterbottom has been slapped with a $3000 fine for breaching "end of race procedures" the Wilson Security Sandown 500. 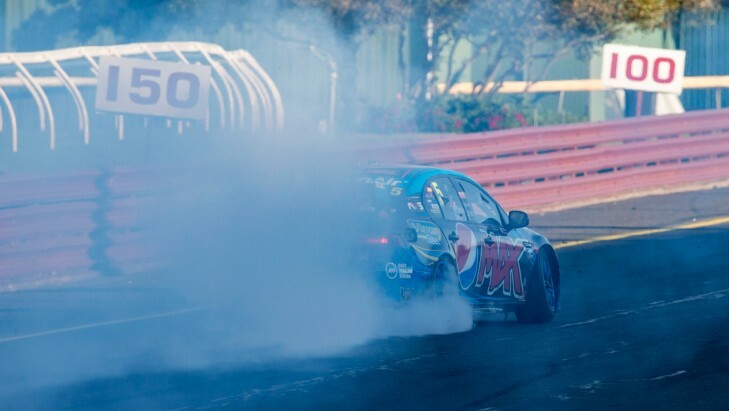 Winterbottom - who won his first Sandown 500 since 2006, with Steve Owen - was reprimanded for starting his post-race burnout before turn one on the circuit. The end of race procedure is communicated clearly to all teams. A handful of penalties have been handed down at the Sandown 500, including a fine for returning driver Marcos Ambrose earlier in the weekend. The Stewards Summary can be seen in full by clicking here. Sandown win would be "special"